How many of you use social media? If you’re anything like me, I’m quick at posting news on my social media accounts because of how easy it is to post pictures and updates with a couple of clicks. My social media posts are almost always different than what I post on my blog. In an effort to share more intimate and detailed updates of my travel, lifestyle, and yoga adventures, I tend to gravitate to social media. My social media accounts display a more informal and personal perspective of my escapades to give my followers a better idea of what my turquoise inspired lifestyle is like! Can you relate to this? 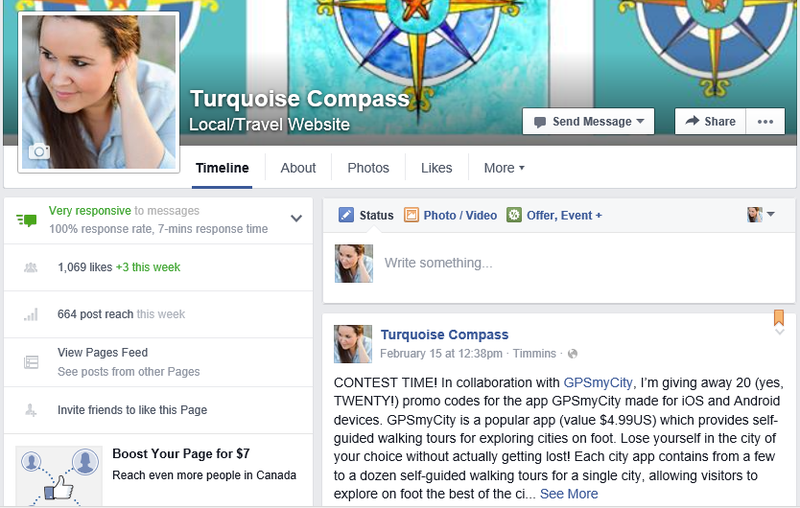 If you want Turquoise Compass news as quick as possible, then join me on social media! There is nothing better than seeing updates from the blogs I follow on social media before the news is even posted on their website. Be the first to like, share, re-tweet, pin, or comment on my colourful social updates! Connect with you there. I am excited to connect with you outside of the blogging world! I am happy to support others through social media! It’s another great way to stay in touch and to learn more about our experiences. Let’s support each other by liking and following each other. Let’s use social media to share our experiences with the world. 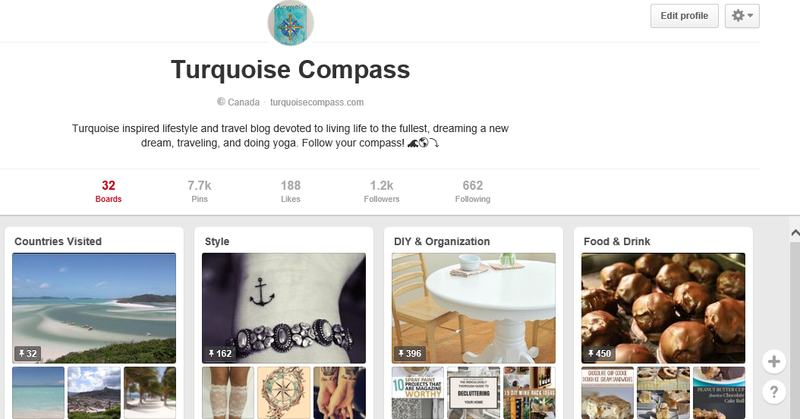 If you use social media, connect with Turquoise Compass, as I would love to see what you are up to as well. Be sure to let me know that you have followed me by commenting on one of my posts and I will follow you back! 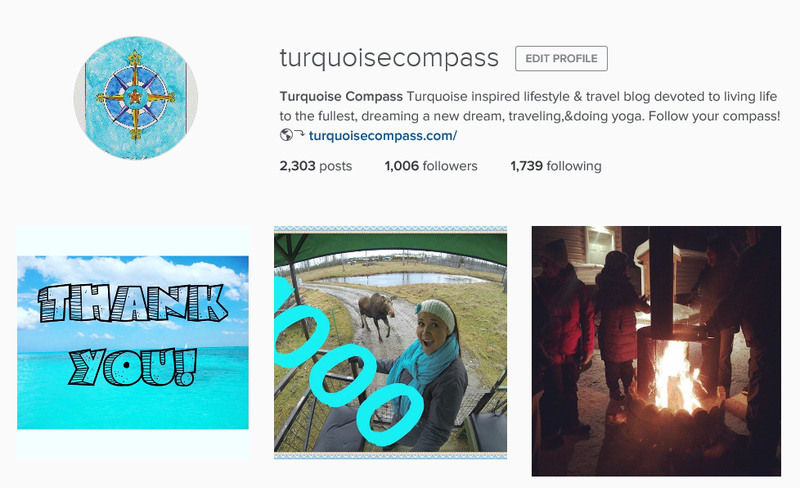 Turquoise Compass is on Instagram, Facebook, Twitter, and Pinterest. This entry was posted in Lifestyle and tagged Blog, Blogger, Lifestyle, Lifestyle Blog, Social Media, Social Media Networks, Travel, Travel Blog, Turquoise, Turquoise Compass, Yoga by Turquoise Compass. Bookmark the permalink. I’m pretty sure i follow the facebook but I will definitely have to check out the others.